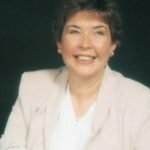 Pam Corrigan has over 30 years experience as a human resource manager and training consultant, working on projects in the GCC Region, Middle East and Africa. She has extensive experience of design, development and delivery of HR programmes, leadership development programmes, performance management, competency based programmes, behavioural skills, management skills and customer care programmes in the corporate and service sector. She is fully experienced in the complexities of learning and development applying in the multicultural environment in U.A.E. and the GCC environment. Pam has worked within organisations both in the GCC and in UK, to help increase performance management, through encouraging innovation and development, identifying organizational learning and development needs and employee engagement opportunities. From this analysis, organizations have then formed a systematic plan for learning and development which accurately reflects the company’s skills profile and serves as a base for talent management – recruitment, succession /career planning, man management and retention; all important areas to increase organizational effectiveness and profits in the GCC Region. Pam trains for results and finds she gets them by asking participants’ opinions about the subject being trained. She finds that once they get talking, they are more confident and engaged. She is then able to see, from what they say, where the problems lie in the organization, then she can advise CEOs of potential development strategies: it all links together like a street map. Pam’s expertise has been evident in Human Resource courses, including CIPD qualifications, Leadership Development programmes, Women’s Empowerment & Leadership programmes, development of middle management, trainee management and newly appointed supervisory staff and executive and staff training for organizational mentoring programmes. Pam holds a Masters degree in Human Resource Management, is a Chartered Fellow of Chartered Institute of Personnel & Development, Executive trainer for CIPD throughout MENA Region, an Ashridge trained senior organizational coach. She is also British Psychological Society certified A & B and a Bandler certified NLP Master Business Practitioner. Pam has been worked with Uniteam Medical Assistance on a suite of leadership development, communications and customer service programmes, been involved in a long-term leadership development programme with a major bank in Saudi Arabia and conducted a series of public programmes throughout the GCC, “Women’s Empowerment and Leadership”, covering aspects of leadership which hold back women in this Region.